Nice 2 year old gelding that has been in training for 6 months with Josh Visser. He moves nice and smooth and a real athlete. "Doc" is a thick made colt - stout enough to rope on. 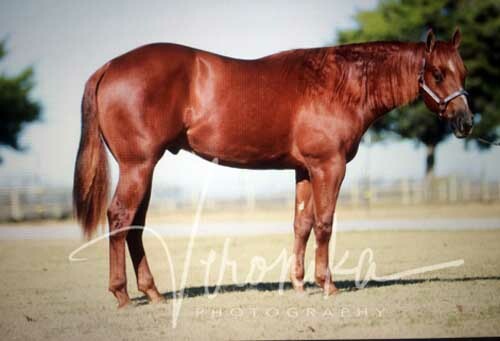 His sire won $128,254 and won 22 AQHA pointes. His dam is a NRHA money earner and AQHA point earner as well, by "Frosty". He is enrolled in the NRHA nomination program and the NRBC. He will be eligible for the 2019 High Plains Ranchers & Breeders Association Futurity.